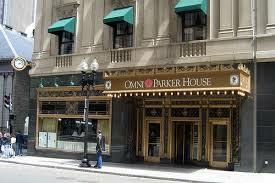 It was very nice, opulent hotel and the longest continuously running hotel in the US. 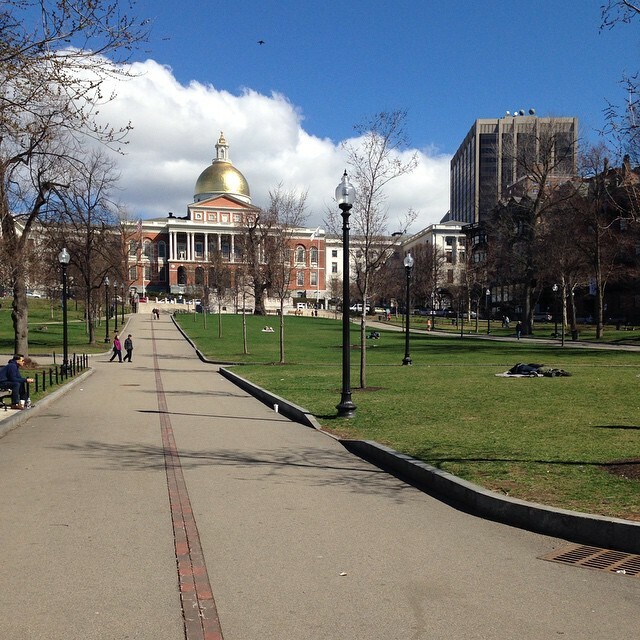 A little longer walk to race events than our place in Back Bay but still close to Boston Common. Their room was a little smaller than expected but very nice. Old Town Trolley Tours this tour was one of the best uses of money and time. When you purchase a ticket it’s good for two days (which we used). The tour is a narrated drive of historic and important places in Boston. The best part is that you can hop on/off whenever you like so it’s also great transportation around the city. 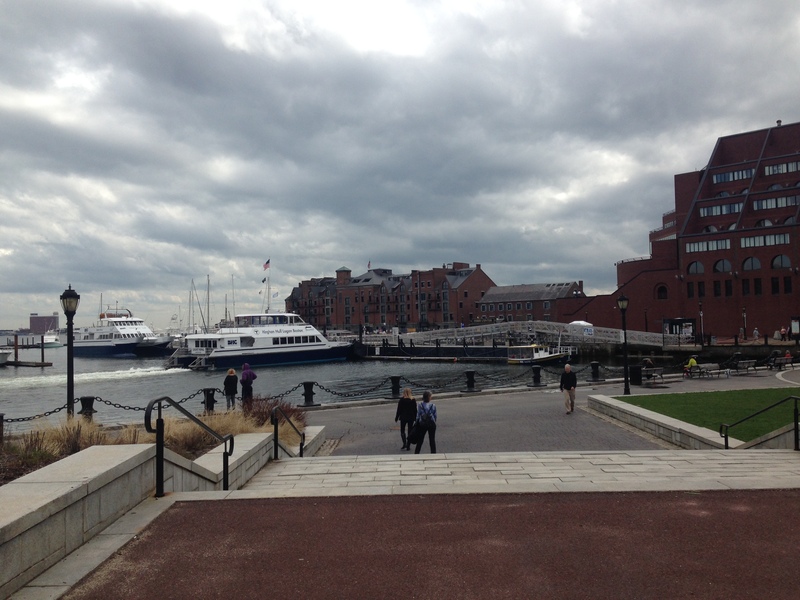 They also offer ghost/haunted tours that sounded really fun. Cheers Pub – The Bull and Finch pug was fun to visit. 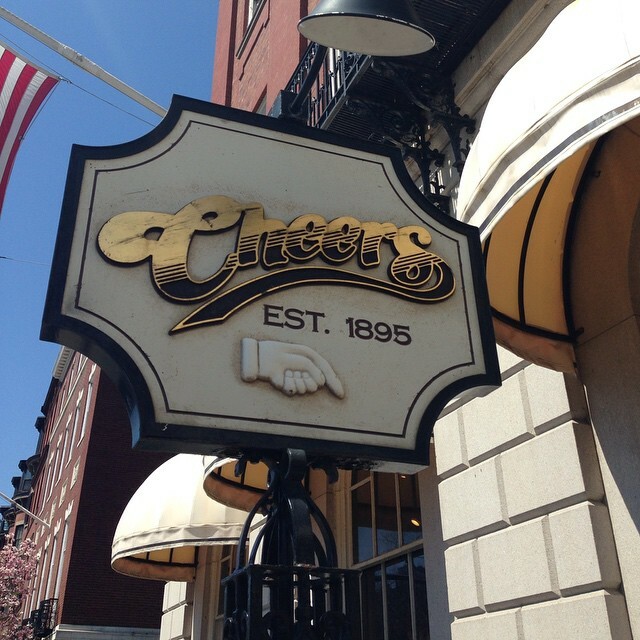 We ended up eating lunch there, the food was just meh, so I would suggest just getting a beer and seeing the inspiration for Cheers and eating somewhere else. Another must do is walking the Freedom Trail. 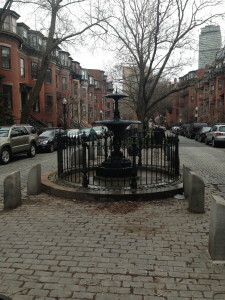 We bought a small guidebook and really enjoyed seeing the city by foot, following the red brick path. 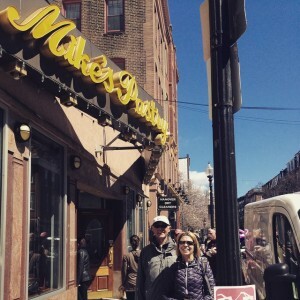 Eat// There are many great places to eat in Boston but a couple places not to miss are Mikes’s Pastry just a short detour off the Freedom Trail tour. Mast One the best meals I have had in my life, the pizza is amazing and the lobster ravioli was unreal. Great place for carb loading! !